I read 13 books in May, and I'm chatting about 8 of them in today's post + one book I read in 2017. On the blog this past month, I shared reviews for the Devil Riders series by Anne Gracie, the Tudor Legacy trilogy by Laura Andersen, the Huxtable Quintet by Mary Balogh, A Court of Frost and Starlight by Sarah J. Maas and Making Up by Lucy Parker. I've read so many great series lately and have been on such a reading binge! 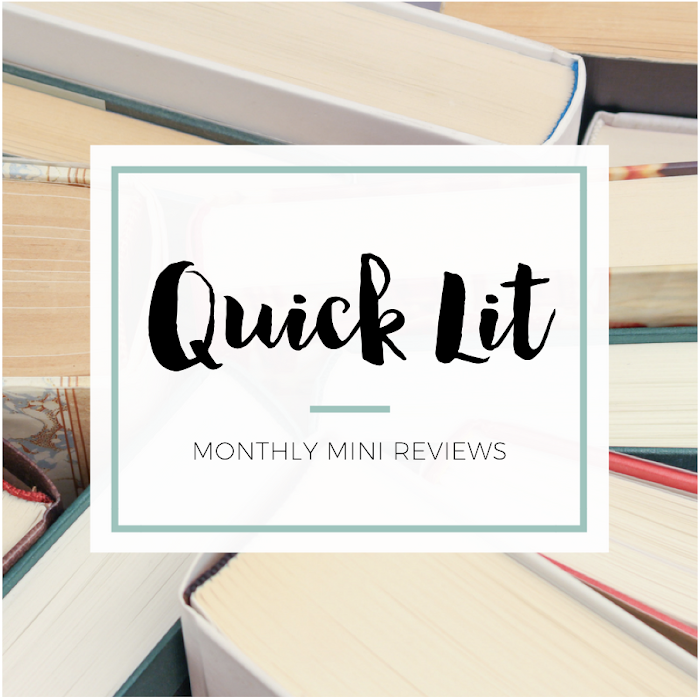 Soon, I'll have reviews for three other books I read in May that aren't included in this post: Beartown by Fredrik Backman and Queen of Shadows and Empire of Storms by Sarah J. Maas. As always, check out the Quick Lit linkup that's hosted by Modern Mrs. Darcy if you're looking for more reviews and recommendations. STARRY EYES BY JENN BENNETT | After liking Alex, Approximately, I was looking forward to this release. I'm not a huge fan of hiking or camping in real life, but I picked this up hoping that it would remind me of one of my all-time favorite books. Unfortunately, I never quite clicked with it. I liked aspects of it and wanted to find out what was going to happen, but I felt like too much of a mom while reading it. That's not the book's fault, however, because I'm definitely not the intended audience. And I liked the book less the more I thought about it after I was done, so I'm just So Okay With It. But this will probably work better for many other readers! SOMEONE TO CARE BY MARY BALOGH* | After loving the first three books in the Westcott series, I wasn't as excited for this because of the heroine. I realize this is terrible to admit, but I didn't want to read about the mom. Give me all the young people falling in love! Thankfully, I have to eat my words – and my expectations – because this was a fun read. The heroine decides to run away with a rake from her past for a week or two of fun. But, of course, it becomes so much more. I liked the second-chance romance and the new secondary characters. If the couple had communicated better (or had just a bit less baggage), I might have loved it. But I'm still pleased that I So Enjoyed It. HEIR OF FIRE BY SARAH J. MAAS | After I finished A Court of Frost and Starlight, I was in the mood for more Maas. I remembered that I hadn't listened to several of the Throne of Glass books on audio and couldn't resist a re-read in that format. I started with this one, the third, which I've always thought of as my favorite in the series. But I realized I haven't re-read any books past this one, so maybe I'll end up being wrong? We'll see! As expected, I loved this just as much as I have in the past and experienced ALL THE EMOTIONS. I knew what was going to happen, and I was still gasping, tearing up, laughing, and swooning over every development. I'm So Obsessed With It, obviously. THE LONG GAME BY JENNIFER LYNN BARNES | I read The Fixer two years ago and was surprised by how much I enjoyed it. I kept meaning to read the sequel, and then watching the series finale of Scandal prompted me to finally pick it up. OMG, Y'ALL. Barnes holds nothing back in this installment! I was quickly caught up in the drama, hooked by the mystery, and stunned by a few of the reveals. The stakes are higher, and I'm sad there aren't plans for a third book because I'd happily spend more time with Tess! This story is begging to be continued. I haven't read many political thrillers so I'm no expert on the genre, but this was a great one. I So Enjoyed It! 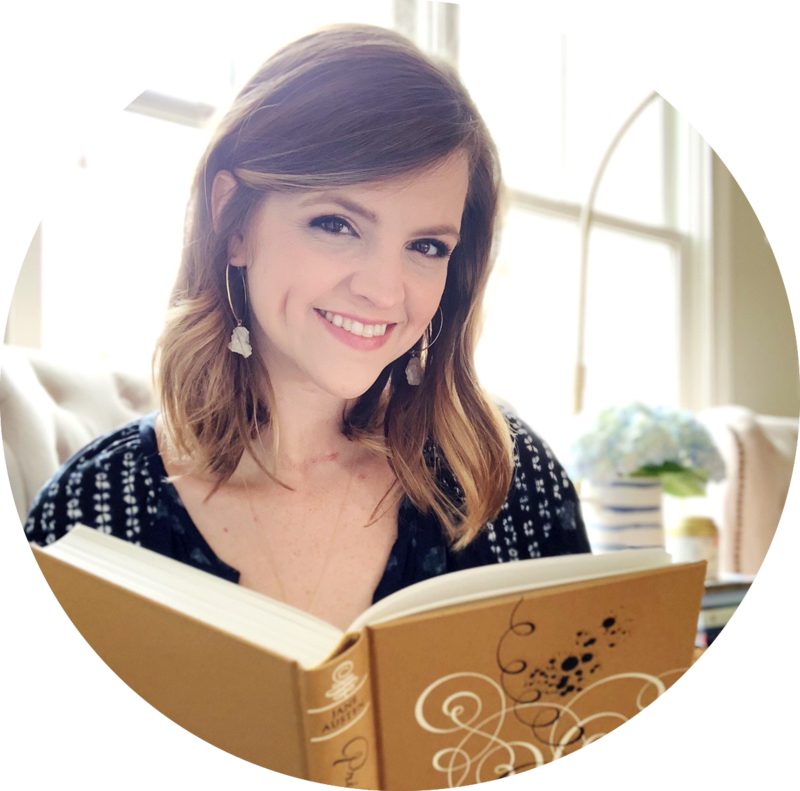 CULTIVATE BY LARA CASEY | I was introduced to Southern Weddings magazine, which Casey founded, a long time ago and that led me to read Casey's first book, Make It Happen. I'd been curious about this one, but then couldn't resist when I realized how perfectly the theme fit in with my word of the year. I read this little book in one sitting and enjoyed much of what Casey had to say. It's hopeful, encouraging and filled with nice reminders about being intentional. However, it was repetitive (the gardening metaphor is heavily emphasized) and didn't seem to say anything particularly profound or new. I So Liked It, but I skipped all the sections prompting a response. THE FOREVER SUMMER BY JAMIE BRENNER | I started this book with high hopes... and wanted to throw it against the wall by the time I was done. There were way too many characters + storylines, so nothing was given the development it deserved. The book took place over months but read like one week of insane drama. The lackluster writing combined with the overdramatic story and flat characters made it feel like a bad soap opera. And yet, for all the chaos, the book was boring. I didn't care about anyone or anything in it. I can't even recommend it as a light, easy beach read because there are so many better ones out there! As you can probably tell, I was So Over It. THE GREAT ALONE BY KRISTIN HANNAH | Do you ever finish a book, look at the ratings, and wonder if you read the same book as everyone else? Because that's what happened for me with this one. It has a 4.35 average rating with 60,000+ ratings on Goodreads, and I just do not get it. I was somewhat engaged with the first half of the book (though it felt repetitive), but then the second half made me livid. This book was a melodramatic mess, and it wasn't even well written! Awkward dialogue, a rushed romance, ridiculous drama, and at least 100 pages longer than necessary. YIKES. It felt like Nicholas Sparks on steroids, which is not what I was expecting. I'm So Over It. ONE AND ONLY BY JENNY HOLIDAY | I read this because the cover reminded me of a Kristan Higgins novel, and I've been looking for more books with that vibe. And I'm wondering if that expectation set me up for disappointment? I didn't like the romance at all, though it was probably more me than the book. The hero frustrated me to no end, their feelings seemed rushed, and it was a lot steamier than I expected. I skipped over a lot and was So Over It by the end. But I did love the strong female friendships! Even when the bride was being difficult, it was nice to see the friends have grace for her and recognize that the wedding stress was only temporary. THE WEDDING DATE BY JASMINE GUILLORY* | I read this book in November 2017, it came out in January of this year... and I'm just now writing about it. Oops! I picked it up because the Fug Girls recommended it, and they didn't steer me wrong. I loved the premise: a man gets stuck in an elevator with a woman and asks her to be his fake girlfriend at a wedding. Although the couple fell into the "JUST COMMUNICATE!" trap, I still So Enjoyed It overall. The fake relationship that becomes something more is such a fun trope, and it was refreshing to read about their careers. It's steamier than I prefer + a tad cheesy, but this rom com would make a great summer read! Good to know I shouldn't waste my time on The Great Alone. I loved the Nightingale, but I've heard mixed reviews about this one. Great book recs! I am really enjoying Cultivate. I agree that the gardening metaphors are plentiful... I liked that because I am a visual person and I like the idea of gardening, so it didn't bother me but its definitely repetitive in that sense! I am taking my time to read it and journal through it since I am reading it at the halfway point of 2018 and it seems like a good way to review the goals I set back in January and keep myself accountable while also re-evaluating if I am cultivating what really should matter in my life. I am realizing I still am letting a lot of distractions get in the way at times, so the book was helpful with seeing some of this. I am super impressed you read 13 books! I have had a much slower reading year in 2018, which is hard since there are just So.Many.Good.Books. Out.There!